Summary: The process is oftentimes easier for the client than traditional methods of investment planning. 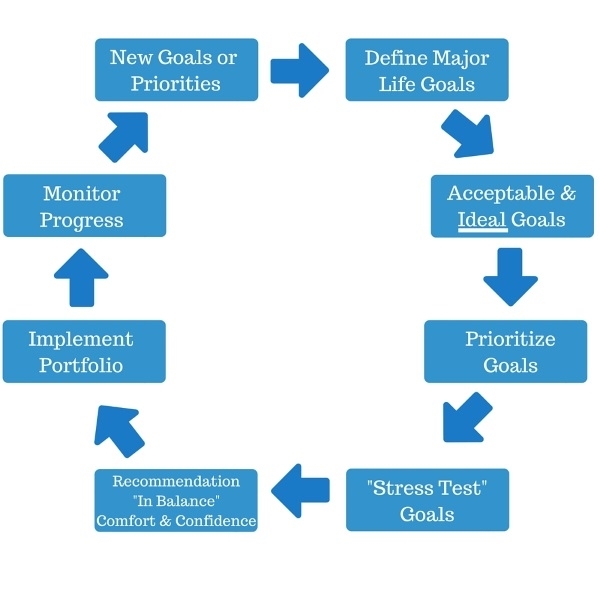 It focuses on achieving goals that are otherwise ignored, it assists in avoiding unnecessary risks, helps avoid unnecessary lifestyle sacrifices and helps identify problems and opportunities in advance. Basically provides the client with comfort as to how best to achieve their goals.